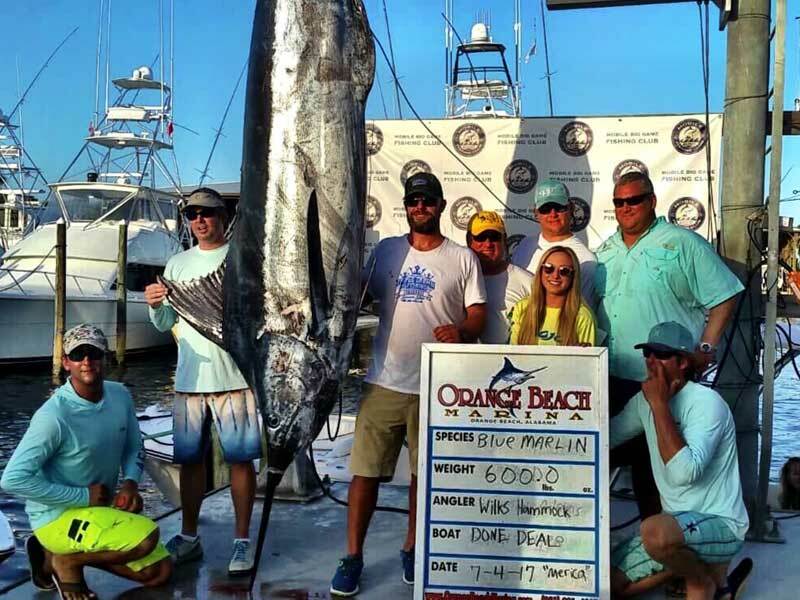 Palm Beach, Florida: With a record payout on the line and red-hot fishing worldwide, the story of this year’s Blue Marlin World Cup Championship centered on what some may consider an overlooked destination: the Gulf of Mexico. And yet with a fleet of 144 boats fishing in some of the planet’s best big-fish hot spots ­- including Bermuda, Madeira, Cape Verde and Kona – the Gulf produced the only two qualifying blue marlin in the one-day shootout. 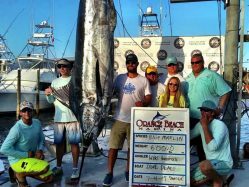 The team aboard Gunnslinger was first to report a fish in the boat: their 110-inch blue marlin weighed 556.1 pounds and met the tournament’s qualifying minimum weight requirement of 500 pounds. But it was Jon Gonsoulin’s Done Deal that would seal the deal, scaling a beautifully-proportioned 600-pound blue marlin. They won the tournament cash plus the optional Big Blue Challenge, taking home a cool $1 million payday. Not bad for a day of fishing. Done Deal is a 70-foot Viking captained by Jason Buck; angler Wilks Hammock was on the rod soaking a live bait off the Southwest Pass of Louisiana when the fish struck. In addition to their weighed fish, the team also released three additional blue marlin in what proved to be a superb day of sport-fishing action. With the increase in the base entry and the added jackpot in the Big Blue Challenge, it’s a new record payout for the World Cup. Winning $1,000,000 for a single blue marlin is the dream of any big-game angler, and the Blue Marlin World Cup reached that milestone this year. Seven of the participating teams were fishing in the Gulf region, and that is the first time since 1989 that the Gulf had produced a World Cup winner. Overall, the fishing was terrific in the Gulf. The Reel Fire team released four blues in the tournament. That’s great fishing anywhere. The Blue Marlin World Cup is a one-day shootout held on July 4 each year. Blue marlin are the only eligible species, with a required minimum of 500 pounds, in a winner-take-all format. Teams fish from 8:30 a.m. until 4:30 p.m. in their respective time zones around the world, producing a very exciting event that has attracted a tremendous following on social media. Tournament director, Robert “Fly” Navarro, says the World Cup team is already planning for a bigger and better tournament next year. You don’t need to fish an exotic destination to catch big blues. It is anticipated that more boats from the Gulf and also the East Coast will be participating in the July 4, 2018 Blue Marlin World Cup. Note the date on your calendar, and sign up early to match your blue marlin fishing skills against the rest of the world. For more information, visit www.bluemarlinworldcup.com. © 2017 Blue Marlin World Cup Championship. All Rights Reserved.